A drug called risperidone has been shown to treat some symptoms of autism — including repetitive behaviors — in both humans and mice, but so far no medication has been found to help improve the ability to socialize. In a study published online by the journal Science Translational Medicine, researchers at UCLA found that giving oxytocin to mice with autism-like symptoms restored their normal social behavior. Oxytocin is a neuropeptide, a type of molecule that helps neurons communicate with one another. But perhaps the study’s biggest surprise was that early postnatal administration of the oxytocin led to longer-lasting positive effects, which continued into the animals’ adolescence and adulthood. “This suggests that there may be critical windows of time for treatment that are better than others,” said Daniel Geschwind, a UCLA professor of psychiatry, neurology and human genetics and senior author of the study. 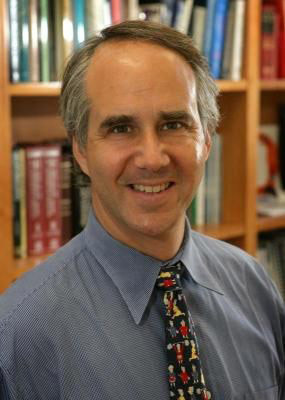 In 2011, Geschwind and his colleagues developed a mouse model for autism spectrum disorders by knocking out a gene called contactin-associated protein-like 2, or CNTNAP2, which scientists believe plays an important role in the brain circuits responsible for language and speech. Previous research has linked common CNTNAP2 variants to a heightened risk for autism, while rare variants can lead to an inherited form of autism called cortical dysplasia-focal epilepsy syndrome. The mice that were engineered for autism have fewer oxytocin neurons in the hypothalamus than other mice and lower-than-normal oxytocin levels throughout the brain. But after researchers treated them with oxytocin, the animals spent normal amounts of time interacting with other mice — the measure scientists used to gauge their sociability. Separately, the researchers gave the mice melanocortin, an agonist that binds to specific receptors on a cell in order to activate it. They found that it caused a natural release of oxytocin from the mice’s brain cells, which also improved the mice’s sociability. “The study shows that a primary deficit in oxytocin may cause the social problems in these mice, and that correcting this deficit can correct social behavior,” Geschwind said. The next stage of the research, Geschwind said, will be to determine the lowest dosage of oxytocin that still proves effective. Because the mice in the study displayed symptoms similar to those of people on the autism spectrum, the researchers hope that this therapy may someday be applicable to humans. The study was funded by the National Institute of Mental Health (R01 MH081754-02R, NIH/NS50220), the NIH Autism Centers of Excellence (HD055784-01 and 5R01-MH081754-04), the Simons Foundation Autism Research Initiative, Autism Speaks (7657), the NIH/National Institute of Neurological Disorders and Stroke (R01 NS049501 and R01 NS074312) and a McKnight Foundation Brain Disorders Award. The study’s other authors were Olga Peñagarikano, María Lázaro, Xiao-Hong Lu, Hongmei Dong, Hoa Lam, Elior Peles, Nigel Maidment, Niall Murphy and X. William Yang, all of UCLA; Peyman Golshani of UCLA and the West Los Angeles V.A. Medical Center; and Aaron Gordon of Israel’s Weizmann Institute of Science.